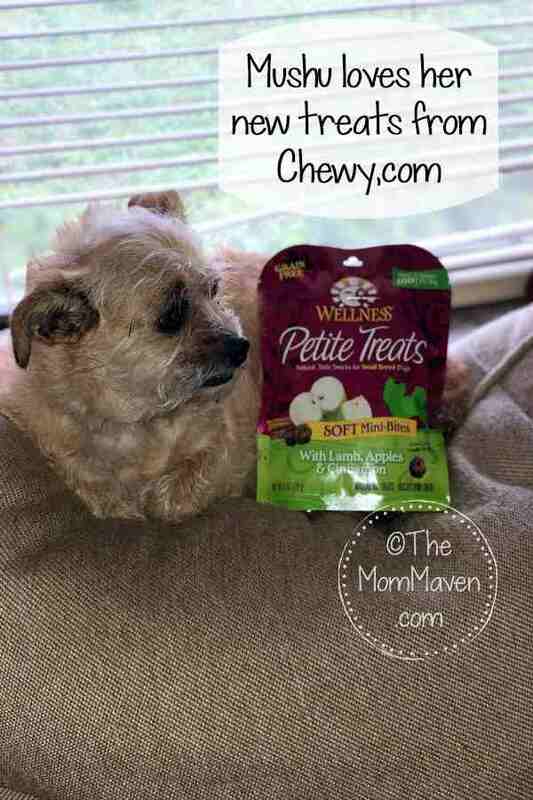 Wellness Petite Treats are just the right size for small breed dogs. These goodies have the healthy ingredients their little bodies deserve and still pack the big tantalizing flavor and soft texture they can’t resist! As your BFF munches, she’ll experience bold flavors from real turkey, pomegranate and ginger. Each protein-rich bite contains whole foods along with flaxseed to promote a healthy, shiny coat, plus you’ll never find any wheat, wheat gluten, corn, soy, artificial flavors or preservatives. These healthy rewards are perfect for training, treating or just plain spoiling! Specially formulated to meet the needs of small breed dogs. Made with only premium all natural ingredients. Vitamins, minerals and fatty acids support healthy skin and coat. Fiber and probiotics help enhance digestion. Makes the perfect reward or everyday treat. Mushu has been enjoying her Wellness Petite Treats with Lamb, Apples, and Cinnamon as her bedtime snack when she comes in from going potty right before she goes in her kennel for the night. I love that there are over 100 treats per bag and on Chewy.com they are only $4.59 per bag! 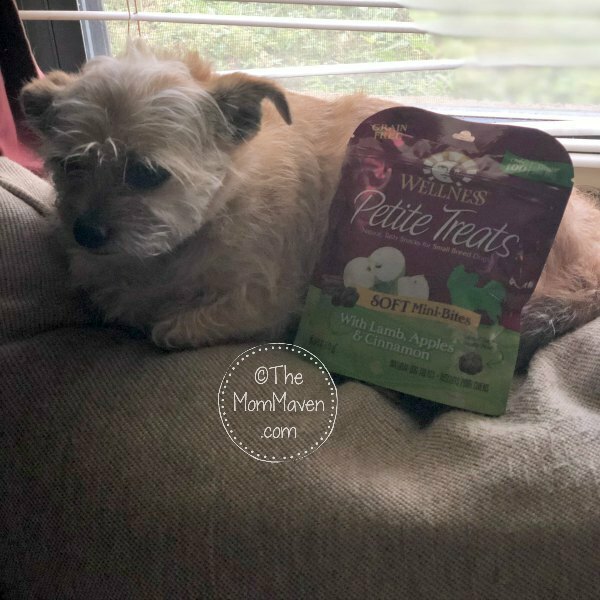 If you have a small dog, I highly recommend the Wellness Petite Treats, they are soft, grain-free, have whole-food ingredients, and are only 4 calories per treat! What a nice small treat for a sweet small dog! A great article to start my day. Thank you for sharing this! I have a new fur baby, Charlie Brown (I named him after Peanuts Movie) and I am looking for good treats for him. He’s 8 months old and I am trying to train him at home and would definitely consider the wellness petite treats you’ve mentioned here. Another thing is that it’s completely healthy! I need not worry anymore about his diet. Thanks!